Manufacturer of a wide range of products which include steaming machine. 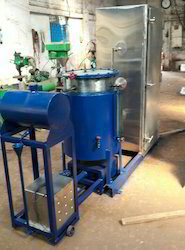 We bring forth high pressure Steam Machine, which is built in using superior grade 304 S.S. The solid tank of these machines are made using SS 316 material and is 8mm thick.